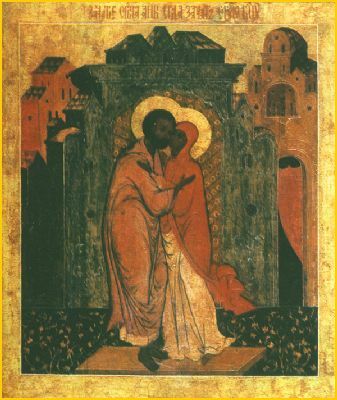 Today, the bonds of barrenness are loosed, for God, hearkening unto Joachim and Anna, doth manifestly promise them that they will, beyond all expectation, give birth to the divine Maiden, from whom the Infinite One Himself, becoming man, shall be born. And He commandeth the angels to cry unto her: Rejoice, thou who art full of grace, the Lord is with thee! Today the whole world doth celebrate Anna’s conceiving, which was brought about by God; for she gave birth unto her who ineffably gave birth unto the Word. ➢ Please donate toward “Toys for Tots.” See Stavroula if you have any questions! ➢ Our Nativity drive for Jackson County Fuel is going on. Please state clearly on the check or envelope if you want to contribute! Short St. Lucia (Lucy) celebration will follow Liturgy on Thursday. Ss. Mary and Martha Women’s Fellowship this Thursday at 7.00 PM. We are now in the midst of the Nativity Fast, preparing us to receive the Incarnate Christ into the manger of our hearts. Most of us struggle in this season of the fast, and that is not a bad thing. Fasting is a struggle; a struggle against our passions, our sins and our self-love. St. Tikhon of Zadonsk teaches us, saying: “As we all know, there is a physical fast and there is a spiritual fast. The physical fast is when the stomach abstains from food and drink. The spiritual fast is when the soul abstains from evil thoughts, deeds, and words.” We must do our utmost to begin by fasting from food and drink, knowing that this is just the beginning of fasting. Physical fasting helps to put our passions to death. Having less and poorer food denies the body the sensation of being filled. The body that is less satieted does not manifest inclinations toward the passions. This is a reality which must be experienced during fasting, and we cannot experience this with only a few days of fasting, but only after prolonged effort can we experience that our bodies are in such a state. 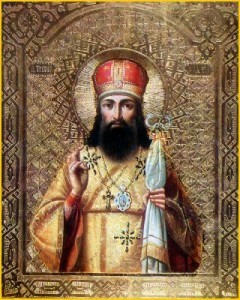 St. Tikhon then speaks of our internal fast: “True and pure fasting is abstinence from all evil. If you wish, O Christian, for the fast to be beneficial, then while you are fasting physically, fast also spiritually and fast continually. As you curb your stomach, in the same way curb your thoughts and your evil passions. Let your mind fast from vain thoughts. Let your mind fast from keeping account of evil. Let your will fast from your evil desire. Let your eyes fast from seeing evil: ‘Turn my eyes away from worthless things’” (Psalm 118:37). Our Holy Father Tikhon directs us to a spiritual fast which represents the most profound aspect of fasting. A much more difficult aspect, but absolutely necessary if we wish to fast profitably. Both our external, physical fasting and our internal, “spiritual” fasting ought to yield spiritual fruit. And this fruit is repentance, peace and heartfelt prayer. We fast out of love for God and the desire to be near Him. We fast in order to gain the light our minds need to understand spiritual and earthly problems. We fast in order to experience what the Savior Himself went through in the wilderness, and then told us that “man shall not live by bread alone, but by every word that comes from the mouth of God.” We fast from earthly things in order to nourish ourselves on spiritual things. We fast for the sake of our spiritual healing and salvation! Whether or not we have done so up to this point, let us seek to fast according to St. Tikhon’s challenge, and to prepare ourselves appropriately for the feast of our Lord’s Nativity!